NEW PROGRAM for fall 2018 Infants ages 12 to 24 months! 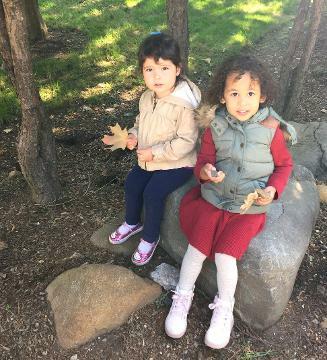 The Yearling provides a very carefully prepared learning environment through a fine combination of specially trained professional staff, a unique Montessori-influences educational program and specially selected learning materials in a modern, convenient facility. Our creatively prepared learning environment will give your child every opportunity to develop at his or her own pace while enjoying growth at every stage. Our city-licensed, full day and half day and extended day programs provide a wide variety of enjoyable, play/learning activities and experiences designed to stimulate and enhance cognitive as well as physical, social and emotional growth. The programs include block building, household and dramatic play, water and sand play, woodworking, creative artwork, various literacy experiences, science experimentation, nature study, cooking, music and movement, outdoor play, etc. Individualized activities in reading and math readiness, utilizing the Montessori-influences methods and materials, are also integrated into the Pre-Kindergarten program. We prepare our children to participate in a whole language reading program. Mini-lessons are planned and conducted to acquaint children with picture reading, and circle time read a-louds. We launch the development of writing about experiences in their lives. We create opportunities to share these stories with their classmates.